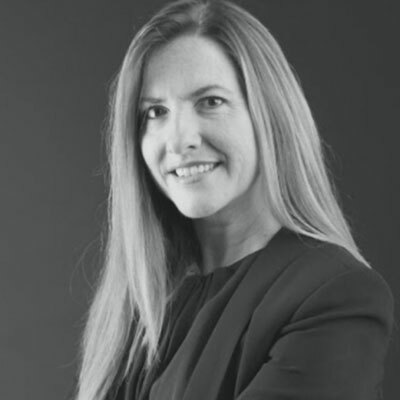 Laura Davis is an executive who is highly experienced in organizational design and sales leadership, which has resulted in increased efficiencies and sustained growth in both the public and private sectors. Laura's vertical expertise includes federal, state and local, healthcare, financial, education, service providers and system integrators with sales and channel organizations at VMware, Cisco and NetApp. Laura's 30-year career includes leadership roles in consulting, sales, channel, product line marketing, services and managing P&Ls. Laura is highly experienced in working with cross functional teams and matrix management across all technology segments and business support teams, including integration of organizations through acquisitions. She also has proven leadership in hiring, mentoring, developing and retaining top talent in sales, engineering and operations. Laura's route-to-market experience at both VMware and Cisco includes experience with traditional channels, new consumption business models and extensive cloud business models. Partner organizations have been fully integrated with sales in order to scale by leveraging the Partner sales teams resulting in increased partner profitability and partner developed revenue. VMware continues to redefine the data center industry. As the leader of our Government, Education, and Healthcare partner organization, I have developed and executed against a partner strategy specific to our vertical markets and our customers' business issues. I have worked closely with channel leaders to integrate our solutions and services into their businesses to add value to their portfolio and their ability to help their customers achieve business critical objectives. Over the next year, our objective is to scale VMware's business by leveraging the breadth and expertise of our partner community independently of VMware's sales organization. Our partners bring an abundance of knowledge and relationships of complementary solutions that enable our customers to realize immediate benefits. I was named to CRN's Women of the Channel list in 2017. Mary Tyler Moore in The Mary Tyler Moore Show. She demonstrated equality in the workplace when it didn't exist. Unapologetically inquiring as to double standards while maintaining focus on delivering superior quality work. As a child watching the show, I learned a great deal about the work environment when I was too young to know the difference. It truly was a remarkable show based upon a strong female character. While I'm sure I heard this advice I wish I had TAKEN the advice and "followed my passion." Don't get me wrong, I'm in a great career at one of the best companies, but to live your passion daily is one of the greatest gifts you may have. I still tell myself to find my passion and incorporate it into my every day life. This time I'm listening! I've always been intrigued with mergers and acquisitions and would love to have the skills to be part of a M&A team. All aspects of companies are included during these times and if done properly, the benefits of the intended M&A are obvious, however, if integration fails, so does the intent of the investment. I've been part of many companies through M&As, and while most have been good, a few have been great, but some have failed. I would be thrilled to challenge my skills on an M&A team. "Leonardo da Vinci" by Walter Isaacson covered the life of a brilliant artist who was also a genius in science and technology. Leonardo was an uneducated man but had great curiosity and imagination, combining art and science to become a genius inventor, similar to Steve Jobs approach to Apple. As a child, my favorite word was "why". I was constantly curious about how and why things worked. This book is a great reminder to be that curious child again, to stop, listen, and observe!